End your Independence Day with a BANG at Vancouver’s Fireworks Spectacular! Pack a snack and a blanket, come to the Fort, and stake out your spot to watch the biggest fireworks show in the region. This year is all about a bigger, brighter, BOOM! With the City-wide ban on retail fireworks, Vancouver’s Fireworks Spectacular will allow the community to enjoy the tradition of Independence Day fireworks safely. Note that there are some changes this year, most notably the show will be the biggest and brightest fireworks display in years! Where and when is the Fourth of July fireworks show? 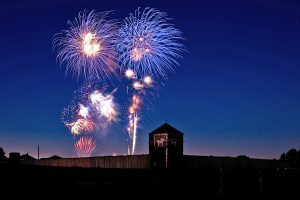 The fireworks show is on Wednesday, July 4, 2018 at Fort Vancouver National Historic Site. The fireworks will launch at 10:05pm to a synchronized soundtrack. How much is admission to Vancouver's Fireworks Spectacular? Admission is free. 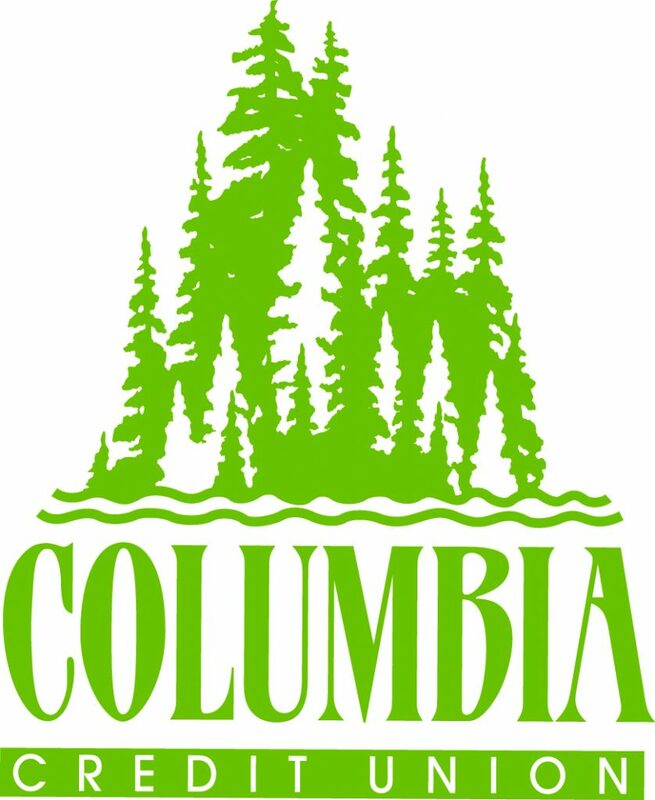 Donations will be accepted from those who want to support next year’s Fireworks Spectacular, with a portion of all proceeds supporting the Lower Columbia Veterans Coalition, a collective made up of the Community Military Appreciation Coalition (CMAC), Vancouver Barracks Military Association (VBMA), Combat Veterans International Chapter 9 (CVI), Buffalo Soldiers – Moses Williams Pacific Northwest Chapter (Buffalo Soldiers), and Special Forces Association (SFA). Where can I see the fireworks? 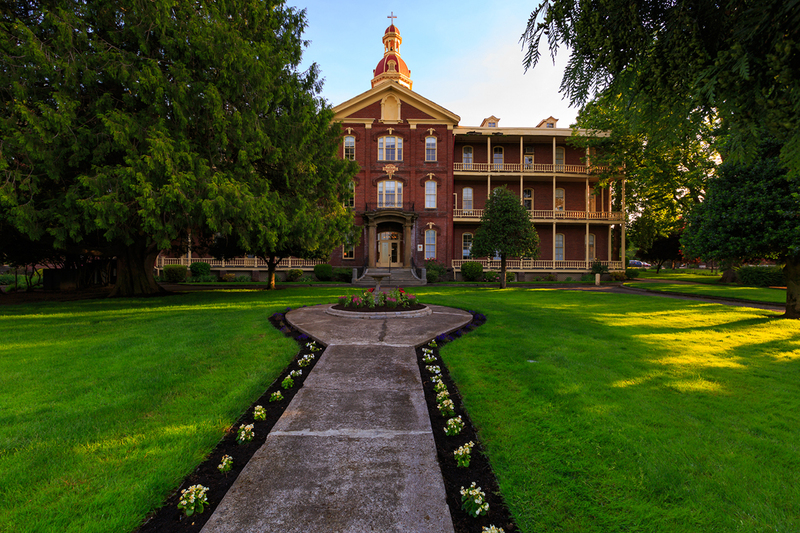 The best place to see the fireworks is Fort Vancouver National Historic Site. 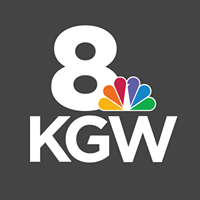 Fireworks will not be visible from Clark College, the Columbia River, or from Portland. Gates open at 8am, but suggested arrival time is after 6pm. Security checks will be at all entrance gates. 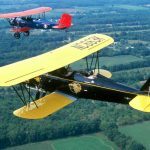 What roads will be closed on July 4th? E 9th Street at East Reserve St.
Mill Plain Blvd. between Fort Vancouver Way and East Reserve St. 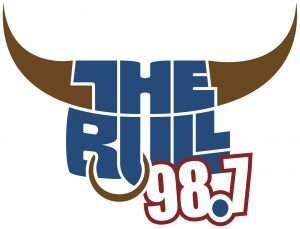 Starting at 6pm, C-Tran will run two free shuttles to the event, one from Fisher’s Landing Transit Center and one from the 99th Street Transit Center, with return service after the firework show. Note there will NOT be a shuttle from Vancouver Mall this year. Learn more about the shuttle on C-TRAN’s website. ADA parking is free onsite along 5th Street for those with a valid ADA permit. A reserved ADA viewing area will be available nearby. 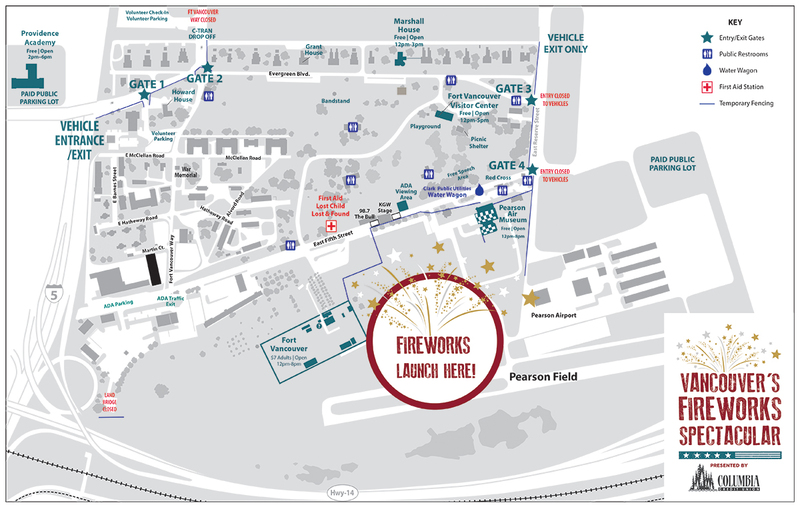 View the ADA Parking & Viewing Area Map. Downtown Vancouver parking is free for the holiday. 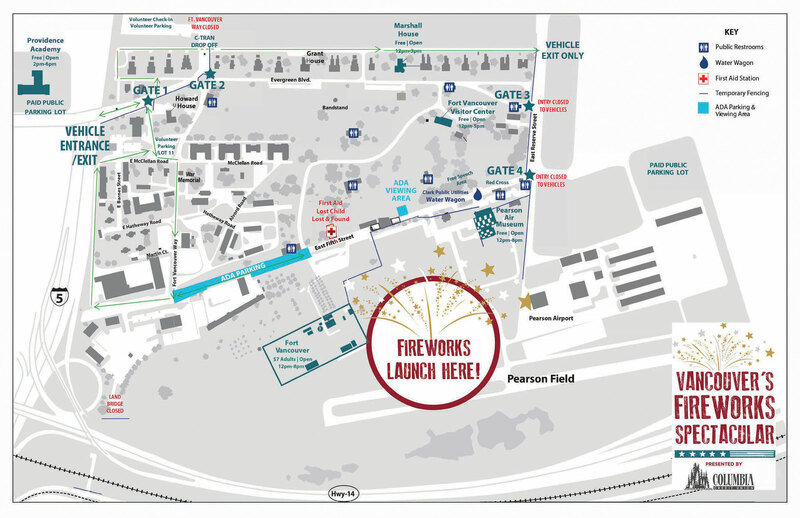 C-Tran has two free shuttles starting at 6pm, one from Fisher’s Landing Transit Center and the other at the 99th Street Transit Center, with return service after the firework show. See details on C-TRAN’s website. $10 Public Parking available at Providence Academy and the grass lot on 5th St between S Street and U Street. Will there be food or drink on site? There are no food vendors or beer garden at the event this year. You can bring in food and drinks (no alcohol). Can I BBQ on site? No BBQ or open flames are allowed on site. There will be no live music this year, but there will be plenty of free and low-cost heritage activities to enjoy. 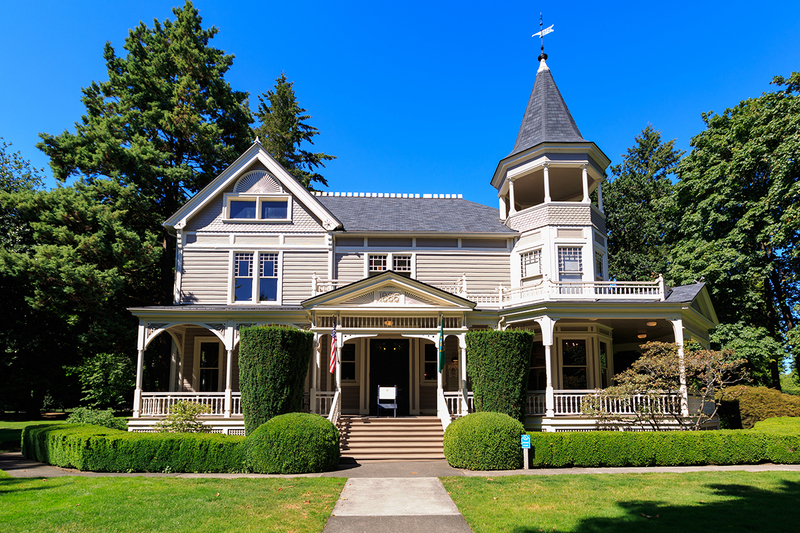 Tour The Marshall House on Officers Row and The Historic Trust’s Providence Academy, watch living history demonstrations at the Fort Vancouver National Historic Site​ National Park Service’s reconstructed Fort, learn about the history of flight at Pearson Air Museum​ and pop-up shop, or check out the gift shop, bookstore, historic art, rotating exhibits, and theater at the NPS Visitor Center. Why is there no food or entertainment this year? 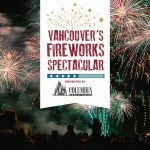 After conducting an assessment in collaboration with the City of Vancouver and the National Park Service, and reviewing feedback from participant surveys, The Trust recognized that the fireworks show is the element most valued by the community. We’re focusing on that–giving our audience what they want most. Can I bring blankets, chairs, hammocks, canopies, or tents? You may bring blankets and chairs to comfortably enjoy the fireworks show. No hammocks. Small canopies and tents are allowed. Do not drive stakes into the ground. All canopies and tents must be taken down by sundown to not block others’ view of the fireworks. No pets are allowed inside the gates at Vancouver’s Fireworks Spectacular. Service animals welcome.